A: Thanks for your question! We get a range of silver contacts to refine. Your 20 pounds of material meets our volume requirements for silver contacts. 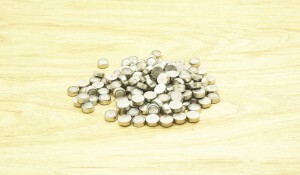 Silver bearing contacts vary widely in silver content. 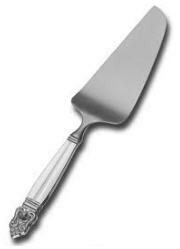 Typically, the best and worst case scenarios are anywhere from 35 to 90 percent silver. We can return 65% of the silver dollar value back to the customer. This percentage is due to the presence of cadmium, which emits a potentiality harmful gas when melted. If cadmium is present we must process with an oxidizing wet process. If you choose to ship your material to us for processing, we will analyze and contact you with the silver percentage before processing. Then, with customers consent, we will process and pay for the material. We work as quickly as possible for a fast turnaround for our customers. From the time that we receive your material, it will take approximately 5 business days for us to mail payment. Thank you for your inquiry and for considering Arch! A: Thank you for your inquiry! YES, Arch does refine the silver from silver oxide batteries. The first item to note is that we do not accept co-mingled lots, so you will have to separate these batteries out if they are among other items or other types of batteries. We do not accept lithium batteries for example. Thank you for your question! Please let us know if we can be of service. Please Note: there is a 5 pound minimum for Silver Oxide Batteries. * While we are happy to give estimates on precious metal items, we are NOT antiques dealers, researchers, or retail sellers. As a precious metal refiner, we only consider the weight and amount of precious metal available to extract during the smelting and refining process. This sounds too heavy for a ring, but the mark you are referring to indicates the purity of your platinum ring. The “950” marking means that your ring is made of 95% pure platinum and is alloyed with 5% of some other metal. As a precious metal refiner we only take into account the weight, purity and daily platinum price. So the maker, place of origin, quality, and date made may affect the retail value, but will have no consideration in the precious value melt value of the platinum. As for time, we typically can return a check to you within 7 business days (usually less) of receiving your material. And if we do not have to run further testing on the purity, it should take less than 7 days. We return 70% of the fine platinum value based on the weight and market price. Without the weight, it would be near impossible to give you an estimate to what your silver pieces are worth for the silver value. Do you have access to a postage scale or food scale you could use? Really you would only have to weight 12 pieces of your 57 piece set. One of each piece in your place settings and your 7 “extra” serving pieces. As precious metal refiners we will take all of your pieces and weigh for the sterling silver value ONLY. So we would take a part any pieces that we could to make sure that they are not weighted or filled. It has been a little while! But we are still here and want to let you know that you can still keep sending us your questions! If we don’t respond right away on our blog please contact us more directly on our website contact form here: http://www.archenterprises.com/contact-us.asp. Thanks for your question. Please remove the copper from the silver and only send the silver contact material into refine. We pay on the weight of the silver, so by doing this you can also have an accurate idea about how much silver you have and also save on shipping. For heavy items we recommend going with USPS flat rate boxes. The largest box you can mail with flat rate boxes is 23 5/8” x 11 3/4” x 3”. We would recommend taking the copper to a scrap metal recycling facility in your area.